The JUSTFOG P14A cartomizer is 14mm diameter, with 510 thread. The tank is 1.9ml e-liquid capacity and it has pre-installed 1.6ohm coil, which is the original Japanese organic cotton coil. 100% EU TPD compliant product and the P14A cartomizer is compatible with P14A battery. The JUSTFOG P14A cartomizer is 14mm diameter, with 510 thread. The tank is 1.9ml e-liquid capacity and it has pre-installed 1.6ohm coil, which is the original Japanese organic cotton coil. The JUSTFOG P14A cartomizer features easy body-spinning bottom airflow control and childproof opening system. 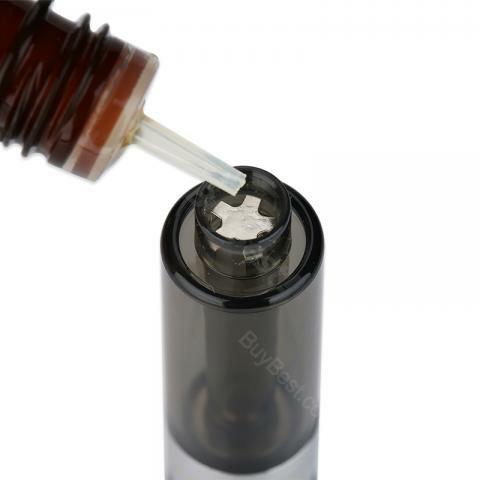 100% EU TPD compliant product and the P14A cartomizer is compatible with P14A battery. The cartomizer is compact, simple but powerfull. Available in black color. • We recommend you to use it with P14A compact battery/ JUSTFOG P14A Kit. JUSTFOG P14A Cartomizer ist in Ordnung. Auch die Qualität ist absolut in Ordnung. Liquids schmecken gut. Für Anfänger sehr zu empfehlen. JUSTFOG P14A Cartomizer is great, I will buy from buybest again.